CRMBOOST provides a platform to organize and track interaction with potential or existing clients, partners, agents and other contacts. 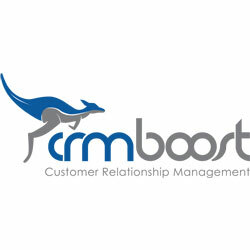 CRMBOOST provides a customer relationship management platform along with tools and services to help businesses manage their prospective leads and clients and help them use the internet to market their products and services effectively. Services include enterprise level web-based CRM software which coupled with our collaboration tools, email marketing platform, and texting platform, allows for complete sales and support solutions.